LUXURY HOT TUB ! 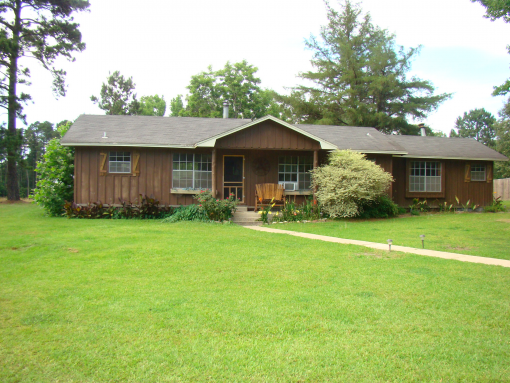 SECLUDED PROPERTY BUT ONLY 5 MINUTES FROM THE LAKE ! Spacious house has open concept fully equipped kitchen. Dining room table can easily sit 8 people. Satellite TV with sports package. 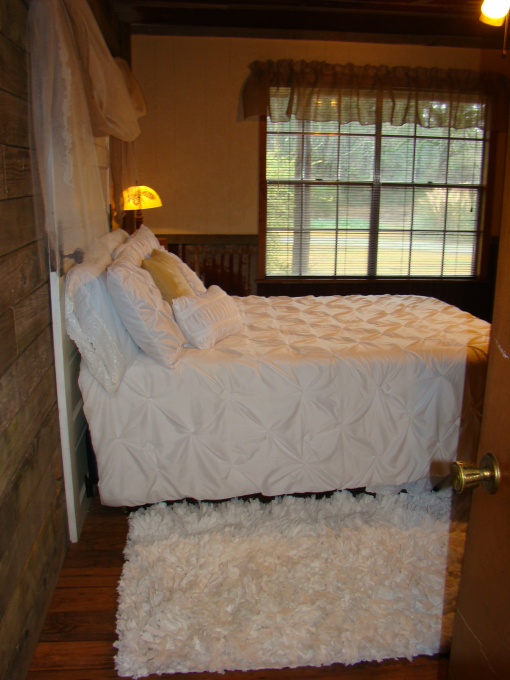 Master bedroom with comfy full size bed has romantic ambiance and spacious bathroom. Second bedroom has 3 twin size beds with toy box and separate bathroom. 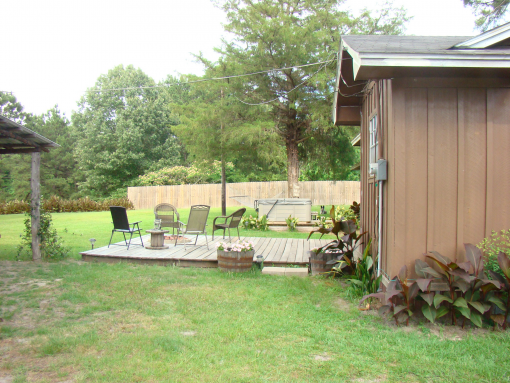 Extra large back deck with fire pit and gas grill. 2 person hammock makes a perfect napping spot ! 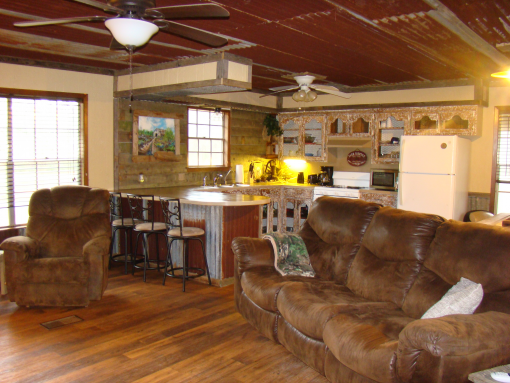 For extra sleeping space - newly renovated bunkhouse located just behind the lodge available for $20 a night. 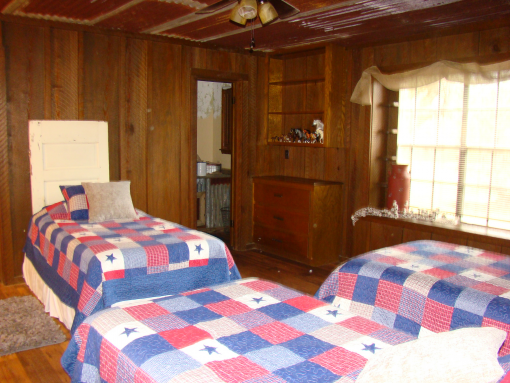 Air conditioned and furnished with quilts and brand new pillow top mattresses. 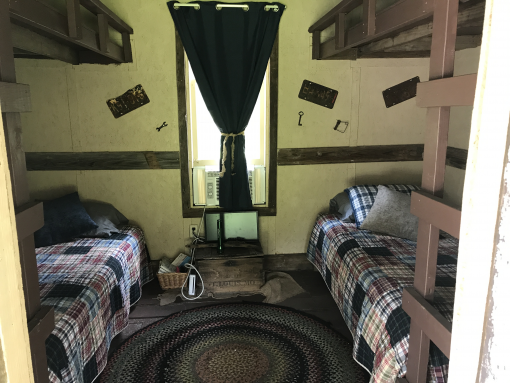 Sleeps 2 in 2 twin size bunk beds with juveniles on top bunk in provided pallets and sleeping bags.guests. 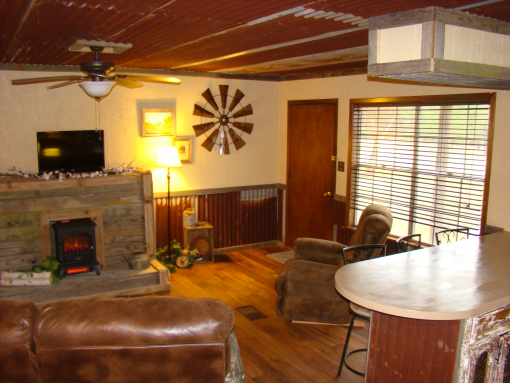 The lodge is perfect for family getaways, reunions, romantic weekends, fishing trips, hiking and photography. Also makes a gorgeous wedding venue. 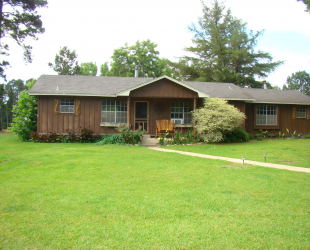 Quiet, private property literally surrounded by the Angelina National Forest and just minutes from Lake Sam Rayburn. Cozy lodge from which every window affords an amazing view of the woods. Fire pit and large deck. Fish cleaning station. 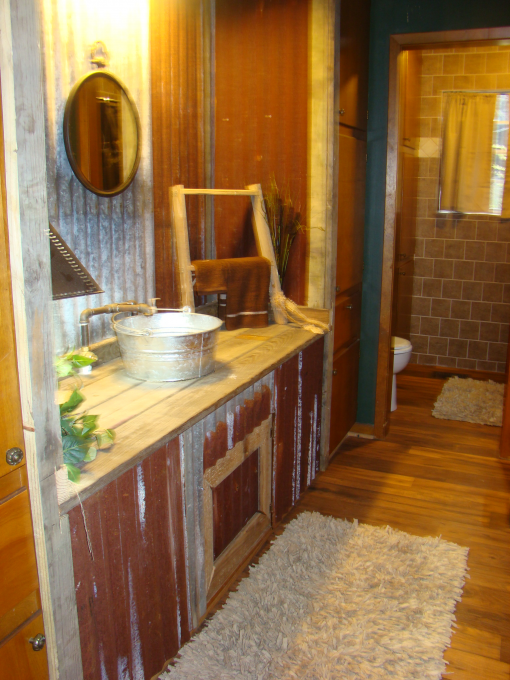 Additional cabin available for rent for extra people. 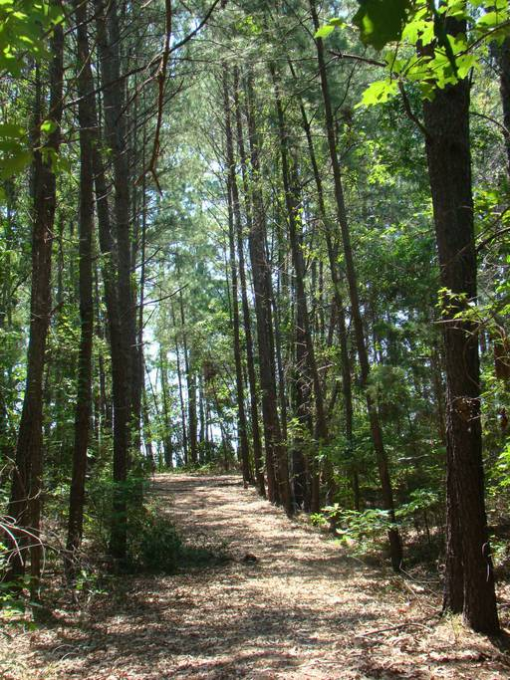 Miles of private hiking/biking trails within walking distance. Hunting (in season only of course!!) right out your backdoor in the Angelina National Forest. Fishing and boat ramps just 5 minutes away in Lake Sam Rayburn. Other things to do in the area other than boating, waterskiing, wakeboarding, swimming, fishing, and camping, are bird watching, nature hiking, historic tours of the local towns, and scenic drives around the lake. Date nights about 30 min away in Lufkin as well as Ellen Trout Zoo which is acclaimed as one of the finest small city zoos in the nation. SFA University provides botanical gardens, arboretum, sports, museum and the acclaimed azalea trails. Texas history abounds as well as wonderful quaint shops and antique stores in Nacogdoches. 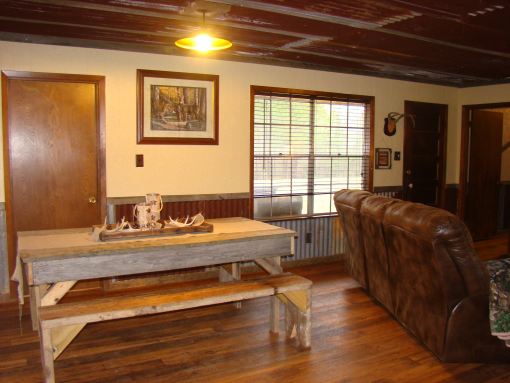 ADDITIONAL CABIN AVAILABLE AS WELL -Quiet cabin surrounded by the public & private hunting land of the Angelina National Forest only 5 min from multiple boat ramps on Lake Sam Rayburn. Luxury hot tub/deck with fire pit and comfy outdoor lounging area under the stars.